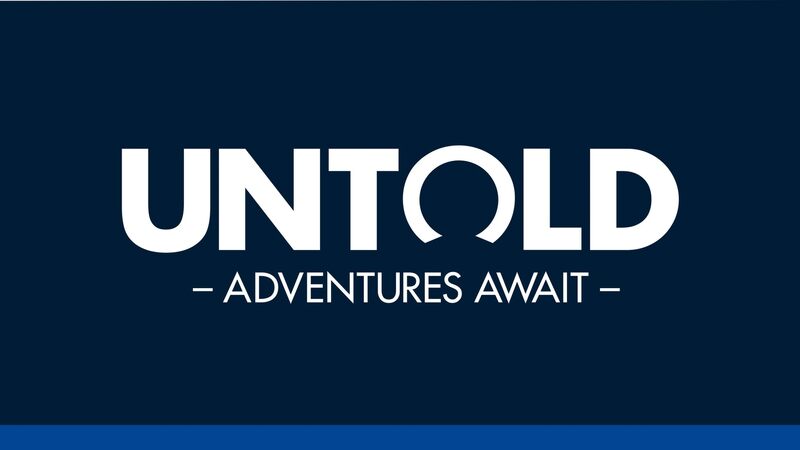 Untold: Adventures Await is an open-ended, cooperative story-telling game for 1 – 4 players, designed by John Fiore and Rory O’Connor, published by Creativity Hub. 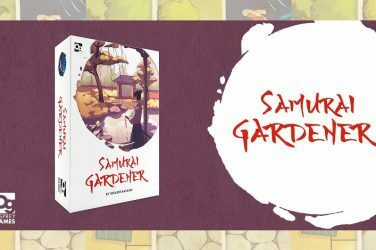 Over the past few years, more and more publishers have pursued the ideal of a “board game that tells stories” (to steal the title of Ignacy Trzewiecek’s BGG blog). As as result, many modern board games weave narrative into their mechanisms in ways that make them more than mere flavor text. Tales of the Arabian Nights set the standard for ‘wacky adventures on a board’ in 2009. Ryan Laukat’s Above and Below and Near and Far, Ignacy’s Robinson Crusoe and First Martians, and many others have also taken us on imaginative journeys beyond dice, cards, and plastic cubes. However, many of these excellent games tell us their story and invite us along for the ride, rather than give us the tools to make our own stories. If I encounter a tiger in the woods in Robinson Crusoe, I either shoot it for fur or it takes a nice little chunk out of me. The game can’t handle if I, for example, wanted to trap it and take it home as a pet (a terrible idea in real life, but not in a story!). If gamers want to truly go off and tell an original story, they usually move further into the realm of RPGs, LARPs, and the like. Those are all great in their own ways, but they have their own limitations as well. Many folks who love narrative nevertheless shy away from RPGs because they are too open-ended. This can lead to long play times, getting caught in best-ignored diversions, etc. Enter Untold: Adventures Await, which exists at the crossroads between RPGs and board games. Let’s see how much of both worlds it manages to capture. 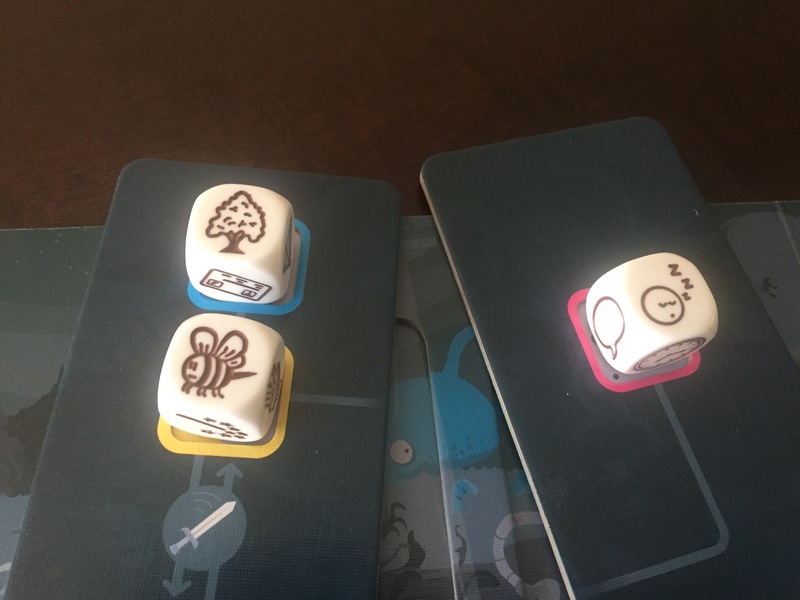 Rory’s Story Cubes serves as the primary engine for Untold’s storytelling, the basic set of which comes in the box. For anyone unfamiliar with the Cubes, they are a series of custom, six-sided dice that depict various pictures. By giving us pictures, the Cubes help spur creative thinking when we get stuck. Many of us falter when told “make up a story, right now!” But with a visual aid, our brains are much more likely to come up with something. 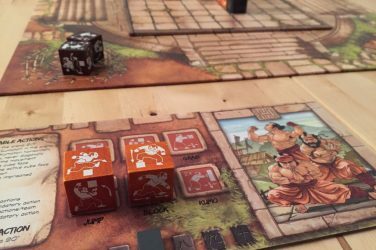 You can tell stories with just the Cubes, which has been their main selling point since their first print run in 2008. However, Untold takes the Cubes to the next level of storytelling by providing a solid, narrative framework in which to use them. Before you get going, you and your friends have to set the general scene. What’s the time period? Where will the episode generally play out? You can invent the general setting free-form, or roll some cubes to get you going. After you establish your general setting, you can begin rolling in earnest! Each phase of the story is represented by a cardboard story card. 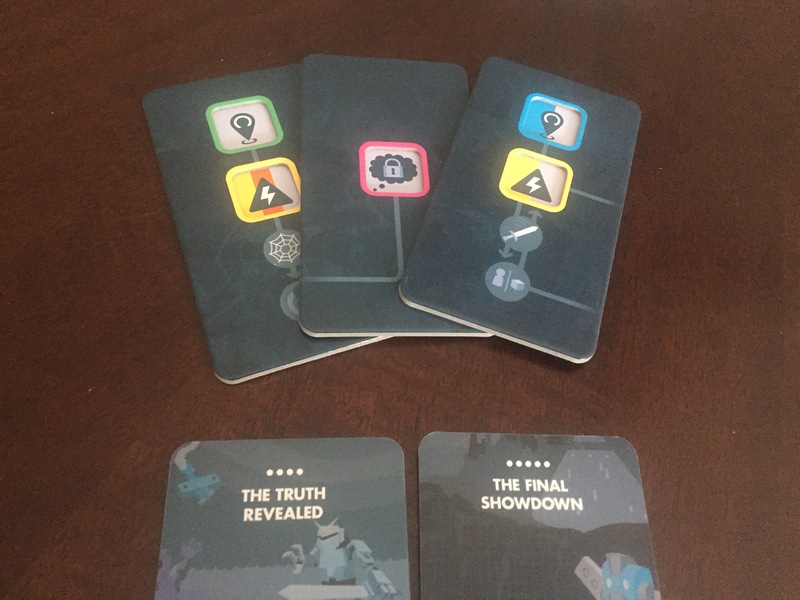 Through the course of Untold, you will move through five of these cards – A Dangerous Dilemma, The Plot Thickens, A Heroic Undertaking, The Truth Revealed, and The Final Showdown. Any regular TV watcher will instantly recognize this structure. Many of our most popular network TV shows present their “case of the week” in the following way – introduce a case, complicate the case a bit, challenge the heroes to look for solutions, then eventually reveal the true intent of the perpetrator and resolve everything in some kind of climax (a shootout, a dramatic courtroom interaction, etc.). 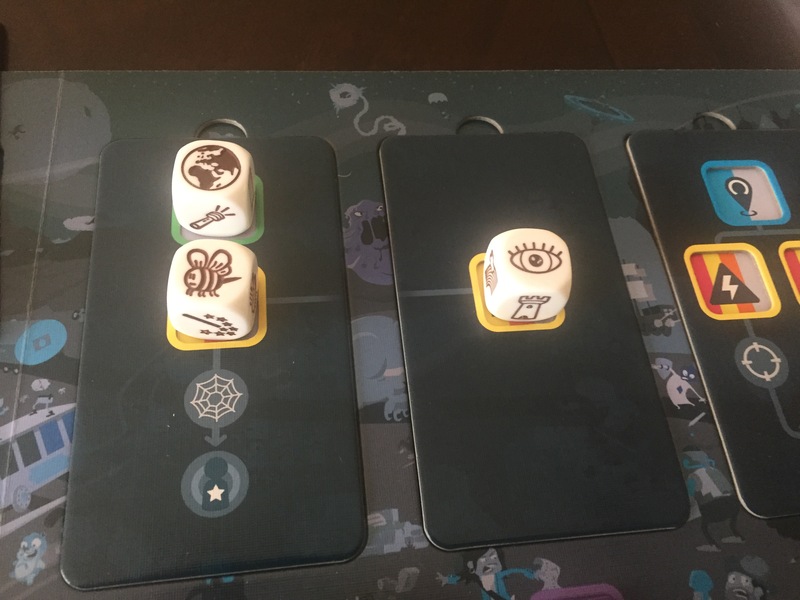 After you roll, you will choose dice to program into the story cards, depending on what it calls for. For the first phase, “A Dangerous Dilemma”, you need to place dice for the location and initial threat. This is almost like a cold open in a TV show – every episode of the Law and Order TV franchise has always shown us the body before the opening credits. So, once you’ve established the core conflict in scene one, you then develop ideas for your main character and provide him/ her/ it with a a name, a role, and some helpful abilities, items, and/ or expertise. Like with the general scene, you can either make stuff up on the fly or use Cubes for inspiration. [You can probably break with this and make your character before doing anything else, like in many true RPGs. However, I assume the game wants you to make characters after setting the scene so that they emerge organically from the story. Therefore, they have every reason to push forward to a resolution]. Once you’ve set the scene, established the threat, and created your protagonists, time to get back to rolling! (as you can tell, I get excited about rolling stuff). You will move through the last four phases one at a time, programming dice and discussing what happens in each scene. With regard to the dice, you can be as literal or as creative as you want. If you put a tree in the location slot, for example, you can have the story begin somewhere near an actual tree. On the other end, you could set the story in a shopping mall Santa line, or in a car with a tree air freshener hanging from the rear-view mirror. 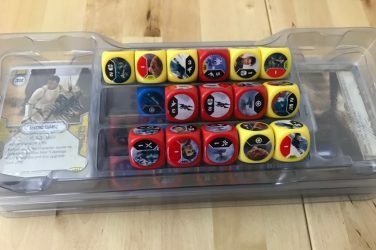 You can use new dice for every twist and turn in the plot, resulting in lots of different story elements coming together in a grand narrative. Or, if you want, the game has a simple system of grabbing previously used dice and moving them forward so that they persist throughout the story. For example, if your initial threat in scene one was a Giant Bumblebee, you can choose whether the Bumblebee continues to vex your heroes throughout, or whether the Bumblebee was merely a pawn of the All Seeing Eye of Thoth! As a way to prevent your group from getting bogged down at any particular moment, each scene comes with a limited number of tokens. They represent questions you can ask to flesh out the scene, or actions you can take to make each scene a bit more dynamic. The action tokens are especially interesting in that they let you take an action to move the scene forward and not let things stay static. For example, if you are going after the Giant Bumblebee, you can use an action token to try and train in beekeeping. After you put your idea out there. 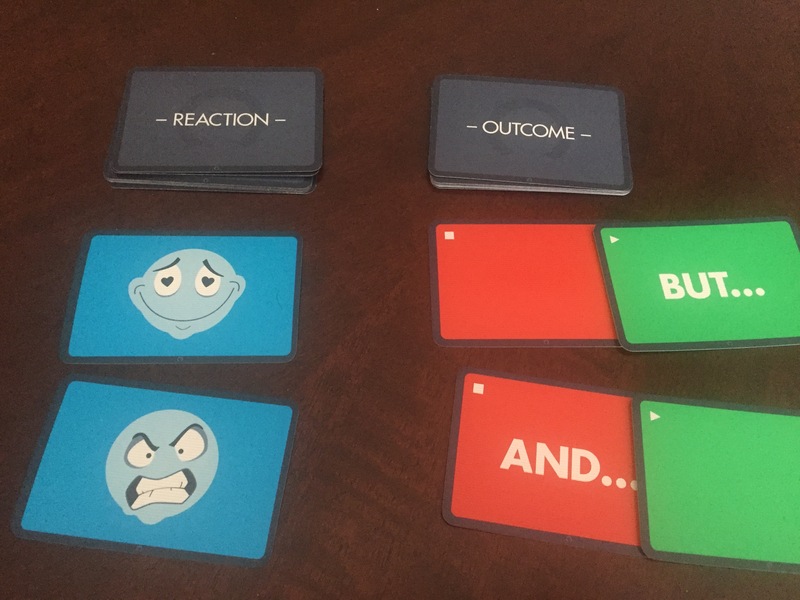 you draw from a deck of Outcome cards which will tell you whether you’ve succeeded or not. Not only that, but the deck can also indicate special successes or failures that lead to further plot developments. If you got one of these special results, you draw from the Reaction deck and mold the story to the reaction. You could have been an excellent beekeeper, but it turns out you are deathly allergic to bee stings, which makes you very sad. Untold also wants to encourage every player to actively participate in the game. Aside from the common question and action tokens, you also get a very limited set of tokens for your own personal use. Idea tokens allow you to interject an idea into someone else’s question or action (with their permission, of course), while the rewind button allows someone to propose an idea for a flashback. Of course, you can interject, propose flashbacks, and do anything else you want within the bounds of group permission. The tokens simply provide a way for the group to insure that everyone has room to contribute. We all have that one person in our group who we love dearly, but who can’t help but make suggestions about stuff and interject at every opportunity. Well, they can only do so here if they have the tokens for it! 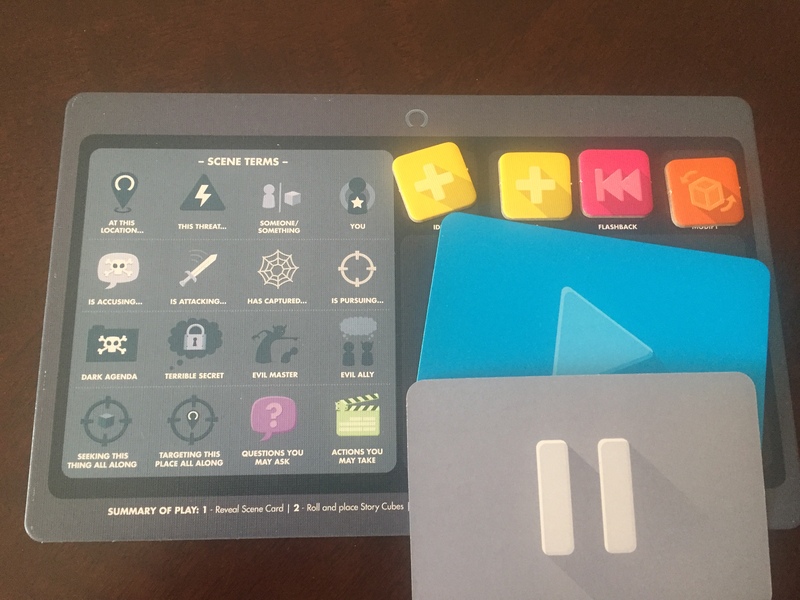 As a final failsafe, each player gets a card with a play button on one side and a pause on the other. If anyone starts at the table loses the trail, or if they don’t like where things are going, they can turn it over and stop the game until they can be brought back in. It’s a big card that takes up a good chunk of the player board, so it’s nice to have a visual way to do that. Oh. My. Goodness. I love this game. I can’t even. 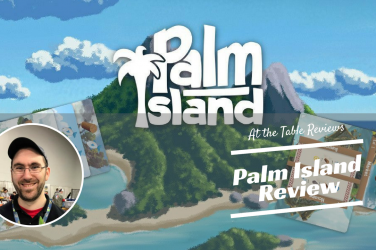 You don’t have to scroll down to the end of the review. I’m giving Untold a rating of 10/ 10. Anyone who has followed my written and podcast reviews knows that I love theme, narrative and story. If a game gets my imagination going, I am very prone to liking it, no matter what style of game it happens to be – wargame, Euro, worker placement, or whatever else. 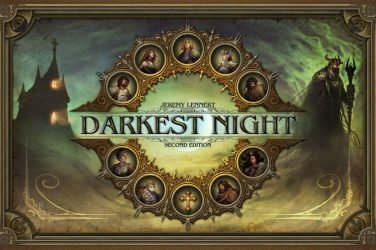 I have particular love for games with heavy narrative elements like Near and Far, Pandemic Legacy, and TIME Stories. With that said, I’m not giving Untold a perfect rating because of my bias towards theme. To be sure, that’s a huge reason, but that’s not all. 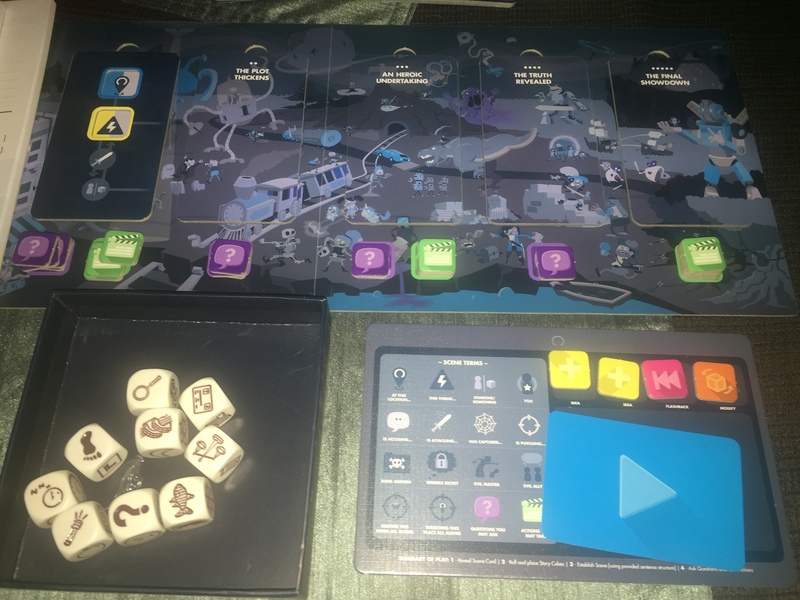 While Untold isn’t really a “game” in that you don’t win or lose, it uses game elements (tokens, dice, and cards) and mechanisms (dice placement, limited action economy) in extremely effective ways. 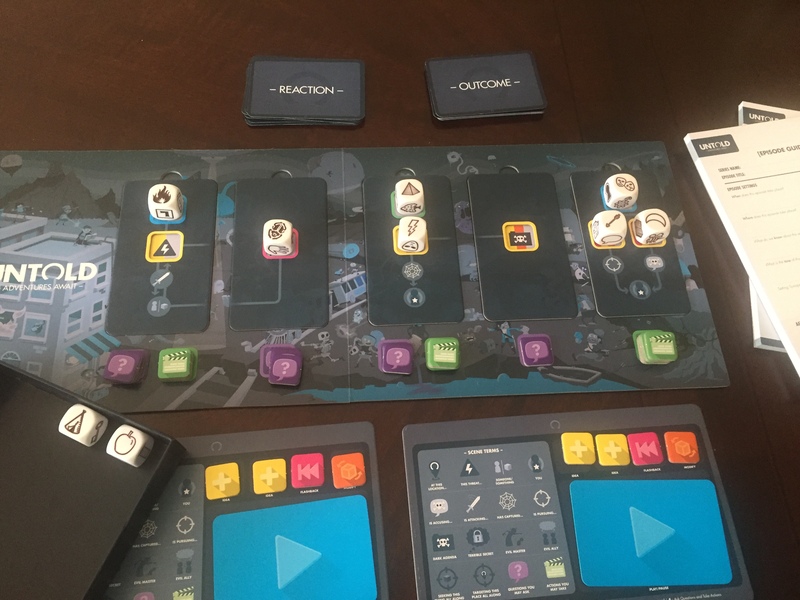 The game elements of Untold accomplish, in essence, two main goals: they keep things moving, and they keep everyone involved. Further, they do so while still maintaining an open imaginative sandbox for players to play in. Anyone who has experienced an RPG with an amazing GM knows what I’m taking about. Check out Chris Perkins, the so-called “DM to the stars,” as he guides the folks at Acquisitions Inc. through their D&D adventures. 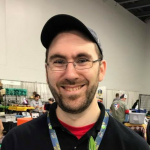 His DMing is fast, he makes sure everyone has a chance to do their thing, and they finish adventures in a reasonable amount of time. Untold does the same thing, but through game mechanisms that feel organic and not stifling. While I love what’s included in the base box, I also very much appreciate the expandability and flexibility of the Untold system. Untold includes the nine original Rory’s Story Cubes, but you could easily plug in any set of nine story cubes and have a good time. I work with kids who love Batman, so I can just plug in the Batman Story Cubes for a great time. In addition, I can see the potential for alternative story cards that provide different narrative structures. The structure included in the base box is great for TV-style stories, but that’s not the only way to tell a story! Shakespearean plays follow a different structure. The climax often happens closer to the middle of the story, rather than at the end. Afterwards, you get some kind of long fall and an expositional, ‘moral of the story’ sequence (the “Denouement,” for all the creative writing folks out there). You could also do a “hero’s journey” thing with more of a Leaving/ Conflict/ Transformation/ Return rhythm. Heck, why stop at story telling? You could probably release cards that help you write a five line poem. All of that is a bit beyond the current game. However, it’s all possible in the system, which has me really excited to see what they could do in the future. I wish they had included more ways to vary game play in the basic rules (different narrative structures, or suggestions for higher player counts). However, that’s all easily fixable and trifling. Other than that, I got nothing. Final Verdict/ Who is Untold: Adventures Await for? Untold takes a lot of the open-ended storytelling of an RPG and uses game mechanisms to deliver that experience in a way that’s fast and inclusive of everyone at the table. I love this game, full stop. 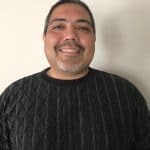 An amazing story engine that's not really a "game" (no one wins or loses), but which nevertheless uses game mechanisms to keep playtime below 60 minutes and involve everyone at the table.